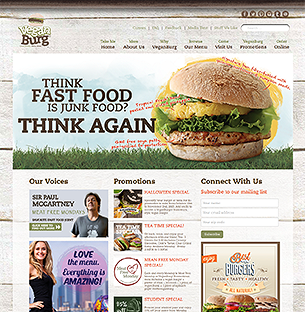 I migrated and updated an ecommerce site for new vegan burger brand VeganBurg, who are expanding from Singapore to San Francisco. 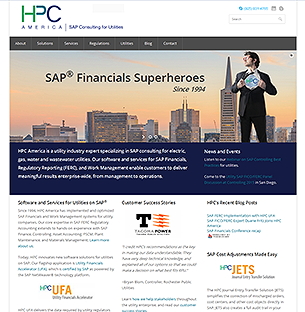 Complete overhaul and new site for HPC America, a company in San Ramon specializing in SAP consulting for electric, gas, water and wastewater utilities. 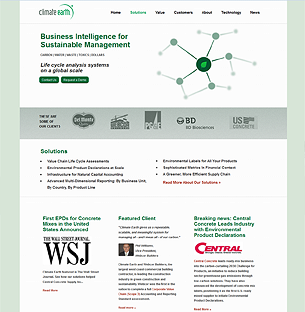 Created a website for Climate Earth, a company in Berkeley that provides systems and consulting for sustainable management. The design was given as a PSD, and I used the Gantry framework to build it out. Created a PHP site for Stratagem-HC, a full-service healthcare advertising agency in San Francisco. 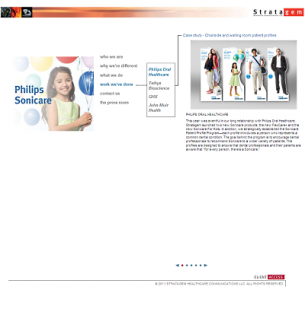 It was also a CSS showcase that even has a CSS/DHTML pagination on some of the pages. 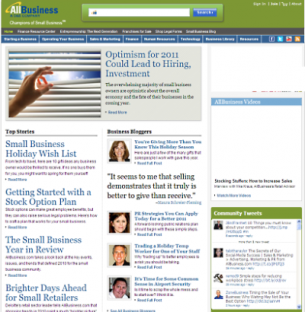 I set up the initial CSS and wrote out the blocks of HTML that the AB engineers turned into CMS modules that became AllBusiness.com. I maintained the CSS and was the Senior Producer through August 2010.